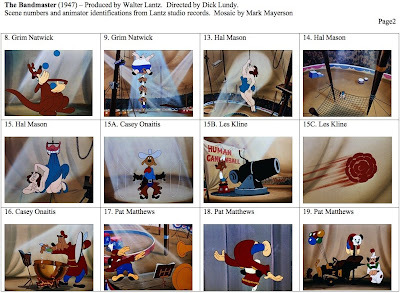 Unfortunately, I can only find a portion of this cartoon online, though the complete cartoon is part of the DVD set The Woody Woodpecker and Friends Classic Cartoon Collection. The clip below is courtesy of Kevin Langley. The nominees for Best Animated Feature are Disney's Bolt, DreamWorks' Kung Fu Panda and Pixar's Wall-E. It's a pretty good bet that Wall-E will take the prize. The only film of the three that could materially benefit from an Oscar would be Bolt, as the DVD is not yet out. Wall-E and Kung Fu Panda are done in theatres (barring a re-issue) and their DVDs were on sale for the Christmas season, so the bulk of their DVD sales are over. Wall-E also got a Best Original Screenplay nomination, though I would say that the odds are against winning in that category. All of the Wall-E writers are animation artists, so it's a good bet that the writers in the Academy won't be voting for it. They would prefer to keep the category in the family, so to speak. Wall-E did not get a nomination for Best Picture, though it did get nominations for Best Sound Editing and Best Sound Mixing. It also got nominated for Best Original Score and Best Original Song. That's six nominations, which is pretty good. None of the other animated features got nominations in any other category, which is why I think that Wall-E will win Best Animated Feature. Waltz with Bashir was nominated for Best Foreign Language film. I think that it stands a reasonable chance in this category, although The Class has gotten strong reviews. I've only seen two of the above, Presto and Oktapodi. The latter is a student film from Gobelins, a major animation school in France. While I admire Presto, I hope that it doesn't win. I have nothing against the film or Pixar, but Pixar winning an Oscar for a short will make no difference to the future of animation. Should any of the other films win, the filmmakers will undoubtedly find it easier to finance their next projects. Perhaps the makers of one of these shorts will become major players artistically or commercially, and an Oscar win will do far more for them than it will for Pixar. Visual Effects nominees are The Curious Case of Benjamin Button, The Dark Knight and Iron Man. There's a cliché that entertainment does well during recessions. It may not decline as much as other industries, but entertainment is not immune in any way from economic contractions. If you read about the film studios in the depression, you'll discover that all of them, except MGM, were in financial trouble in the early 1930s. Paramount was in receivership. Fox was taken over by the smaller Twentieth Century Pictures. There was a revolving door for management at RKO and it was financial desperation, not dedication to the art of film, that caused them to give Orson Welles the freedom that he had on Citizen Kane. 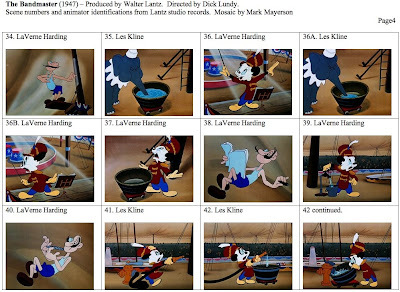 What follows is something of a catalog of the layoffs, dead deals and belt tightening that's currently going on in companies related to animation. Canadian producer Cookie Jar was to have bought the Care Bears, Strawberry Shortcake and Sushi Pack from American Greetings for $195 million, but couldn't complete the financing due to the credit crunch. British media company Entertainment Rights is carrying a debt of £125 million and has brought in a company to either restructure it or sell it off. The company controls such properties as Veggie Tales, 3-2-1 Penguins, Casper the Friendly Ghost, He-Man and the Masters of the Universe, Postman Pat, Basil Brush, Fat Albert, Lassie and The Lone Ranger. Videogame maker Electronic Arts posted a loss of $310 million and will be cutting 6% of it's workforce. The L.A. Times reports that it will cut 10% of its workforce and close at least 9 of it's 50 facilities. Autodesk, the software firm that makes 3D cgi packages Maya and XSI is cutting 10% of its workforce. Imagi International, which is working on the Astroboy feature and whose future projects include Gatchaman, Tusker and Cat Tale, has a serious financial problem in that it is underfunded by $45.6 million if it is to complete all of these projects. C21Media.net is reporting that "With the global economic downturn starting to kick in, many [children's] broadcasters are reducing original commissions as ad budgets are slashed." Translation: fewer original series and more re-runs. They also report that 4Kids Entertainment is cutting 15% of its workforce and diversifying into documentaries and teen drama. Translation: animation isn't selling for them. This is in addition to the closure of Nickelodeon Digital in New York and Laika cancelling a feature in Portland. Even the optimists are predicting that the news will continue to be bad during the first half of 2009. This blog won't dwell overly much on bad business news, but it has to be acknowledged. At this point in time, no industry is recession proof. This 1932 photo was taken in front of the Charles Mintz studio. 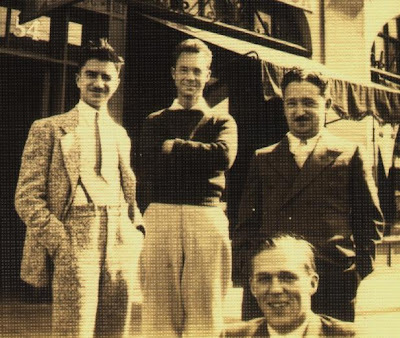 Standing, left to right: Harry Love, Preston Blair, Allen Rose. Kneeling: Al Eugster. 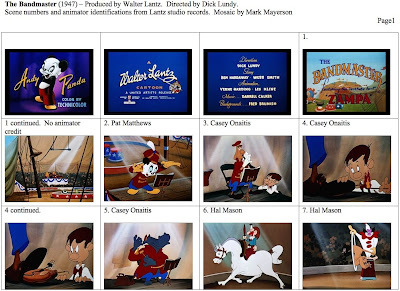 Preston Blair is a name that should be known to everyone in the animation business, if only because he wrote one of the first books on how to animate. That book has remained in print for around 60 years, which speaks to its usefulness. 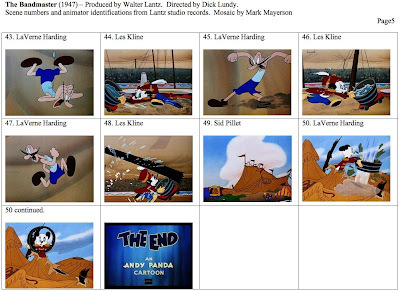 Even if you're not in the animation business, you've undoubtedly seen some of Blair's work. 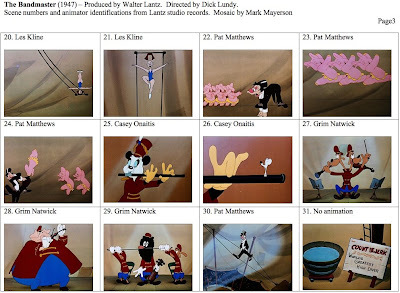 He animated on "The Dance of the Hours" and "The Sorcerer's Apprentice" in Fantasia, did some owl animation in Bambi, and worked for Tex Avery at MGM, where his most famous animation is of Red, the girl who prompted sexual fireworks from Avery's wolf character. 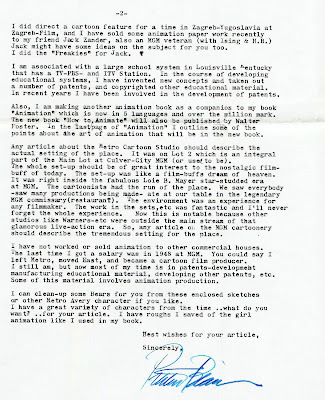 This letter was in response to my questions about his time at MGM. 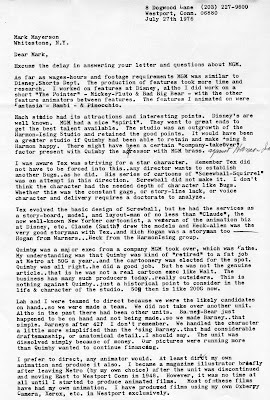 The hand-written comment at the end of the third paragraph says "against Harman Ising." Click the pages to enlarge. I no longer read comics as I once did, but I do keep an eye on the comics industry, mainly to give me a basis for comparison when I look at the animation industry. The comics field has long been the scene of conventions in various cities. They've been going on consistently since the 1960s in cities of various sizes. I've personally attended conventions in four different cities over the years and I haven't scratched the surface. While there is some industry business transacted at these conventions - mostly because they serve as a gathering place for professionals - their real audience is comics fans. They come to find items to buy, pick up news about what's happening next at their favorite companies or in their favourite titles. Finally, they come to meet the professionals. Conventions regularly advertise their guests as a draw for pulling in attendees. Guests will sign their work and perhaps do sketches. It's the opportunity for fans to have personal contact with people whose work they admire; it allows them to feel closer to the work. These days, you can purchase just about any item you're looking for on the internet. In the past, news about the comics industry was limited to print publications that came out monthly or less frequently; these days, there are several comics news sites that are updated at least daily. In these areas, conventions don't offer the opportunities that they used to, but where they still succeed is in the social aspects of being a comics fan. The chance to hang out with people who share one's interests and the chance to meet the professionals that produce favourite work is enough reason to attend. The idea of the comics convention has succeeded beyond the field of comics. Comicon International in San Diego has become a magnet for Hollywood. They use the gathering of fans to promote their forthcoming projects and film professionals are trotted out for personal appearances to help promote the projects. The nearest thing the film industry has to this is the film festival. People attend to see films that are not yet released (or may not get a general release) as well as have the opportunity to see and hear film professionals speak about their work. The animation festival I'm most familiar with is the Ottawa International Animation Festival, though I attended an animation festival at New York University many years ago. I haven't attended Annecy, Zagreb, Hiroshima or any of the festivals that occur on the North American west coast. I'm curious to know, though, if these festivals tend to be closer to trade shows rather than for general audiences. My impression (which is unscientific), is that the Ottawa festival caters more to professionals and animation students than general audiences. I think the programs that pull in the largest number of people outside the industry are the screenings for children. Certainly, the Television Animation Conference and the Animarket are definitely in the mold of trade shows, offering information and materials to those in the industry. I wonder if animation festivals aren't preaching to the choir when we should be reaching out to the regular audience. Right now, many animation artists are piggy-backing on comics conventions, selling sketchbooks or personal projects, as well as using film festivals to talk to general audiences. Both are great for reaching the public, but I wonder how it is that comics conventions and film festivals exist all over North America, but animation festivals have somehow failed to take hold? Is it an indication of how soft support is for animation or is it just poor marketing? If an animation festival can't attract a general audience, what does that say about the films we're producing? I'd be curious to hear comments from those who have attended animation festivals other than Ottawa and hear what they think about the percentage of animation professionals and students compared to the general public.